Postage Stamp Collecting continues to grow on a worldwide scale. Stamp collecting not only enables one to learn about their own country's history, culture, famous people, but it also enables them to learn more about the larger world around them. Postage stamp collecting continues to be one of the best non-scholastic learning tools in existence. Modern-day collectors usually begin collecting by visiting their local post office or by saving the colorful stamps that are affixed to mail they receive. Beginning collectors today have a multitude of beautiful commemorative stamps within their grasp. They are excited about postage stamp collecting, but at the same time, they have some issues about how they should preserve their newly discovered treasures. I receive many web inquiries from novice collectors that are confused about how to collect modern postage stamps that they get in the mail. We don't want to lose any new collectors, because they can't find answers to their questions, thus this article on collecting self-adhesive stamps is imperative. 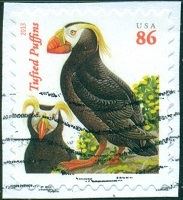 Self-adhesive stamps can be peeled off the backing-paper and affixed to envelopes with ease, saving the consumer from moistening or licking the gum on the back of the postage stamp. This is a great idea for postal consumers, but it is a very bad idea for stamp collectors. Self-adhesive postage stamps have been around for almost a quarter of a century now. The US Postal Service even experimented with self adhesive Christmas stamps back in 1974. The experiment was a philatelic disaster, but then, manufacturing technology has improved greatly since then. Today, most of the postage stamps issued in the world, whether in sheet format, booklet format, or coil format are self-adhesive stamps with backing paper. ALL the stamps issued by the US Postal Service are now the self-adhesive format. Postage stamp collecting, with MINT condition self-adhesive postage stamps, for the most part, is EASY. Just separate the stamp or block from the sheet or booklet, with the backing paper on it, insert it into a plastic mount, then mount it in your album! Here is an excellent guide on how to separate mint self-adhesive stamps from booklets, for mounting as singles in an album. 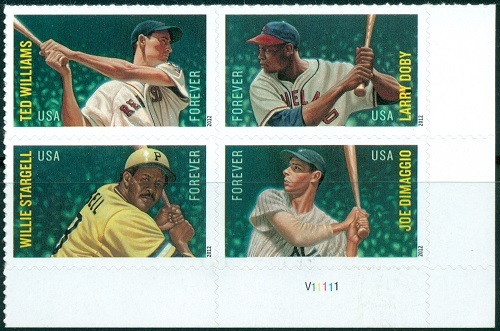 Postage stamp collecting, with USED condition self-adhesive postage stamps, can be problematic. There has been much debate over this problem in recent years. 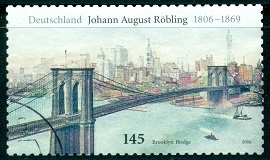 The adhesives used by some countries, such as Germany, will easily dissolve, when the stamps are soaked in warm water, allowing the stamp to be dried, pressed, and hinged or mounted into a collector's album with no problem. Many countries use adhesives that will not dissolve in warm water. When stamps with these adhesives are soaked and attempt is made to remove the sticky adhesive substance from the back of the stamp, the stamp will ultimately be destroyed. US self-adhesive stamps are like this. In fact, they are intentionally manufactured that way, so the stamp will disintegrate, if an attempt is made to soak it off the envelope. This is a security measure, intended to prevent someone from peeling an un-canceled stamp off of an envelope and then reusing it for postage again. I am writing to you from Australia. I started collecting stamps a couple of months ago and I am really enjoying it, although I do have a fairly big problem. A big part of my collection is stamps from letters my family receives. I have been trying very hard to remove the gluey layer off the stamps but well, sad to say, I have ruined so many of them that I don't even bother with it anymore. Just cut the stamp out of the envelope, making a tiny paper margin around the outside edges of the stamp. The used stamp can now be hinged or mounted on the album page without any problem. I created the scan of the modern US definitive postage stamp shown above, to illustrate this process.